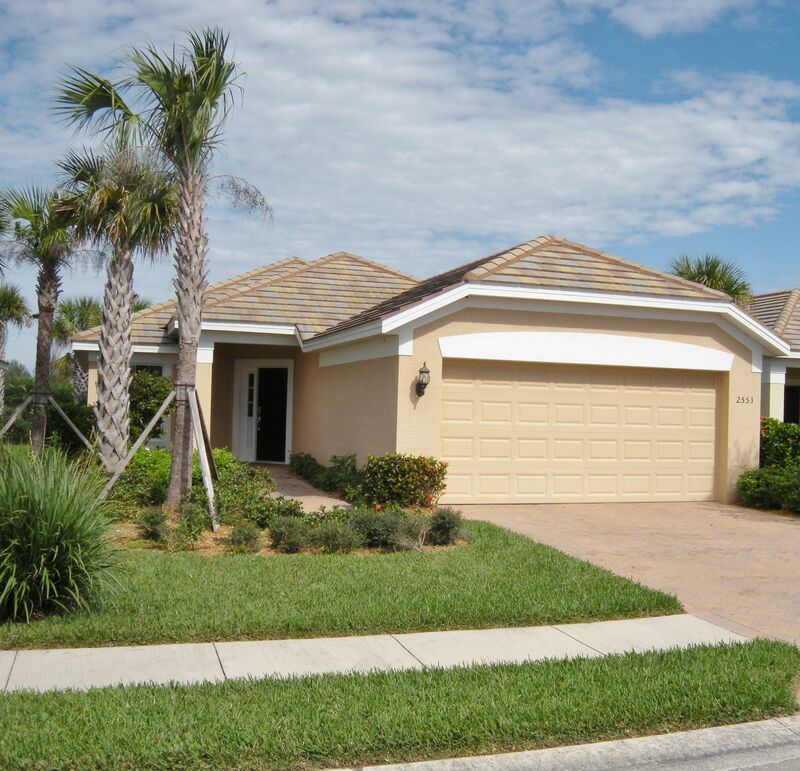 This well maintained home in the highly sought after community of Sandoval in Cape Coral Florida was recently put on the market in February 2014 for $219,900. The Brentwood Model built in 2011 by Pulte is among the most popular home floor plans in Sandoval. The Brentwood is a popular low-cost alternative for a smaller family or perfect for those seeking a second home in order to take advantage of Cape Coral Florida’s mild winters. It features an open roomy floor plan with 1507 sq ft under air. The house features 3 bedrooms, two baths, 2 car garage with a pull down ladder that allows access to storage space above the garage, a great room, spacious kitchen with gorgeous granite counters and seating area, appliances, pantry, breakfast nook and a screened lanai. The house is located on a very private lot with well maintained mature landscaping. The attention to detail by the meticulous owners is just as evident inside the home as it is on the outside. 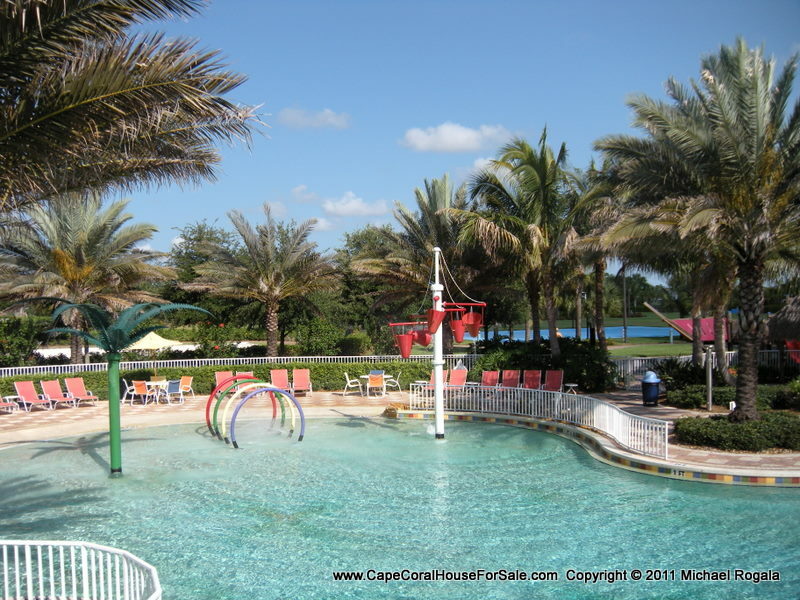 The house is also located just a short walk from Sandoval’s amenities including the resort style lagoon pool area. The homes built on this stretch of Anguilla Drive were the last to be constructed by Pulte before they left Sandoval. Building here started in 2011 and ended in 2012. Scroll down to see more photos of this beautiful home or click here to see the MLS Listing for even more photos and information. Contact me to arrange your personal showing or give me a call at (239) 738-8088. Approximately 1,100 properties have been built to date in Sandoval. Phase I and Phase II homes are sold out. Home building in Phase III, Sandoval’s last stage of real estate development, is well underway. This home is priced lower than the attached twin villas being sold on Anguilla Drive. Click here for more info on Sandoval’s Phase III. Sandoval and its many amenities have been a huge success for individuals looking to purchase a piece of paradise in Southwest Florida. The huge tropical resort style community pool area which covers 7500 square feet and has a 100 foot water slide plus children’s play area might be one reason. The entire community clubhouse, pool area and sports courts cover 7.5 acres. Click here to see more Sandoval community pool photos including the Tiki Huts for special occasions. Residents have a choice of basketball, tennis, bocce, horse shoes and volleyball. In fact, Sandoval home owners are the beneficiaries of the community’s newest amenity. Twin 90’ X 13” step down pavered bocce courts, with shaded seating areas that overlook a scenic lake and the children’s play area. Come on down and enjoy the sunshine in this amenity rich community. Contact me with your questions. Call me today at (239) 738-8088 to arrange your showing of this special home with a great location in Sandoval, Cape Coral, Fl. This entry was posted in Cape Coral Florida, Cape Coral Florida Sandoval, Sandoval house For Sale Cape Coral, Sandoval Waterfront Home, Sandoval Waterfront House, Sandoval Waterfront Lots and tagged Cape Coral Fl home, Cape Coral Florida Sandoval home, Cape Coral house, Cape Coral House For Sale Sandoval, Cape Coral house Sandoval, Cape Coral Sandoval, Cape Coral Waterfront Lot, cape-coral-Fl-house, Florida, Sandoval House for Sale Cape Coral Fl, Sandoval Waterfront Lot. Bookmark the permalink.